You might remember that Tetris Online Inc. announced a Tetris Party Tournament last month to coincide with the release of Tetris Party on the WiiWare service and we've now got additional details on exactly how the contest will work. Below is the official press release regarding the tournament, as well as details of the individual contests involved in the tournament. You can also check out the official Tetris Party Tournament website for more details on the contest as its December 1st starting date nears. To celebrate the launch of Tetris® Party, the newest official Tetris® game on WiiWare™, Tetris Online, Inc. today announced that it will host a series of tournaments beginning December 1, 2008. 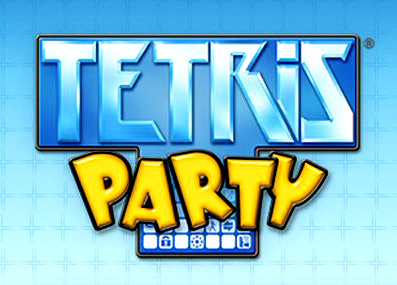 The tournaments will give Tetris Party players the chance to compete for Wii Points™. This means that now is the time for you and your readers to begin practicing your Tetris stacking, puzzle solving, and Tetrimino racing skills to boost your chances of winning! The first Tetris Party Tournament begins Dec. 1, 2008 and will run through Jan. 31, 2009. The first of the four rounds will end Dec. 15, 2008. To register, players must visit www.tetrisparty.com/tournament. This is also where players will also input their confirmation code. The confirmation code must be entered once for each round the player participates in. Each player's rank will determine the amount of tournament points they receive for that round. Five hundred (500) prizes will be awarded, one to each of the top 500 eligible entrants. Final rankings are calculated by totaling the points awarded to each entrant based on his or her results for each round of the tournament. As you can see, it will be really important to submit a score for every round! Playing Marathon mode (Endless option OFF), try to obtain the highest score possible. • Starts: 0:00 (GMT) on December 1, 2008. • Ends: 23:59 (GMT) on December 15, 2008. Playing Field Climber mode, try to get the climber to the goal in the least amount of time. • Starts: 0:00 (GMT) on December 16, 2008. • Ends: 23:59 (GMT) on December 31, 2008. Playing Shadow mode (Stage 7—Bomberman), try to solve the puzzle in the shortest total time and with 100 percent completion. • Starts: 0:00 (GMT) on January 1, 2009. • Ends: 23:59 (GMT) on January 15, 2009. Playing Stage Racer mode (Route T—Beginner), try to cross the finish line in the least amount of time. • Starts: 0:00 (GMT) on January 16, 2009. • Ends: 23:59 (GMT) on January 31, 2009. Three additional tournaments that will include new challenges are scheduled for 2009. More details are to follow. Cool idea, I don't know if I'll participate or not, but it is good to have something new out there. I didn't think I'd ever have a chance on this one after going against those online, but I'm fairly good in single player and those 500 prizes sound great! Thanks Hudson! Tetris Party has a Bomberman themed stage?! Hmm... See, the reason I hadn't gotten this is because I already have Tetris DS, which I enjoy because of the Nintendo-themed Tetris action (and new modes). I've been mildly interested in Tetris Party because of the climber and race modes, but I'm more interested now. Are there any other themed stages in Tetris Party? I like the idea, but I don't have the game. XD Holding tournaments for WiiWare games seems like a good thing to me. It's not like I want to participate... I'm just not that great of a Tetris marathon player either... I like the Wii Balance Board mode and basically enjoy the Shadow mode; that' s all as of now (but yes I've stopped playing once I got the game)! Also it depends on the stinking Wi-Fi connection and how the tournaments are held; and how you claim prizes... not that I'll ever be worthy to win anything like anyone else who does!! So I'd only just want to maybe, possibly, try the Shadow and Stage Racer! Even if they're so far off and into January of next year! @NikeXTC: A Wii Points challenge has already been done with US game MadStone. So what date can you register? Do we know if this is available to players in the EU region as well? I applaud game companies for doing these tournaments. @Homer Simpson: Seems to be worldwide. And before that, Bomberman Blast did it first! @Hyperfludd: Really? When? Was it in Europe? sweet cant wait for this time to train!! I'm currently at no. 110 in the list, and still trying to improve. How's everyone else doing?